30 million glasses of Australian wine are consumed around the world each day. The world is in love with Aussie wine. To supply this thirst, there are 6,000 grapegrowers across Australia who produce 1.8 million tonnes of grapes each vintage. Those grapes create some of the most famous wines in the world – think Penfolds Grange and Henschke Hill of Grace. South Australia is Australia’s wine capital, responsible for more than 50% of the nation’s production. 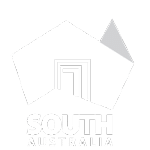 South Australia has some of the oldest vines in the world, thanks to the biosecurity systems that have prevented the introduction of the destructive insect pest, phylloxera. The tiny insect has caused destruction in the world of wine. In the late 19th century, the phylloxera epidemic destroyed most of the winegrape vineyards in Europe. While phylloxera is in some other parts of Australia, South Australia remains phylloxera free, fruit fly free, and GM free. Our ‘clean and green’ vines produce many thousands of award-winning wines. But keeping South Australian vineyards free from phylloxera and other threats has never been more challenging. Biosecurity risks are intensifying. There are more opportunities than ever before for pests and diseases to reach South Australia and establish in our vineyards. Our vines need your help. Please respect our biosecurity systems and do not wander into vineyards. Stay on roads and tracks. Enjoy our wines – ­ protect our vines.